The U.S. Federal Communications Commission is looking for ways to help mobile phone customers avoid "bill shock" -- large, unexpected monthly charges. The FCC on Tuesday said it will seek public comments on how customers can be better prepared for unexpected large charges. 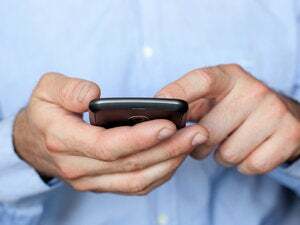 One idea the agency said it will look at is whether mobile phone providers should be required to send alerts to customers when they're facing overage charges, as is required in the European Union. "We are hearing from consumers about unpleasant surprises on their bills," Joel Gurin, chief of the FCC's Consumer and Governmental Affairs Bureau, said in a statement. "We've gotten hundreds of complaints about bill shock. But this is an avoidable problem. Avoiding bill shock is good for consumers and ultimately good business for wireless carriers as well." The bureau, in a public notice, will ask for public comments on several issues, including how well customers can now monitor their mobile use, what extent mobile providers now offer usage alerts and what technological or other barriers exist that would prevent mobile providers from sending out usage alerts. A spokeswoman for CTIA, a trade group representing mobile carriers, wasn't immediately available for comment on the FCC's public notice. The FCC released comments from mobile customers complaining about their bills in a news release accompanying the public notice. "My [cell phone] bill suddenly tripled in one month," one customer wrote. "When I got to looking it over, I noticed that they had charged me for my mobile to mobile minutes. They had advertised free mobile to mobile." "I received a bill this month with over $500 in overage charges which led me to check my statement," another customer wrote. "I found that on my wife's and my phones over the past three months we have had 246 calls totaling 304 minutes from [two unknown numbers]." Grant Gross can be reached at grant_gross@idg.com.